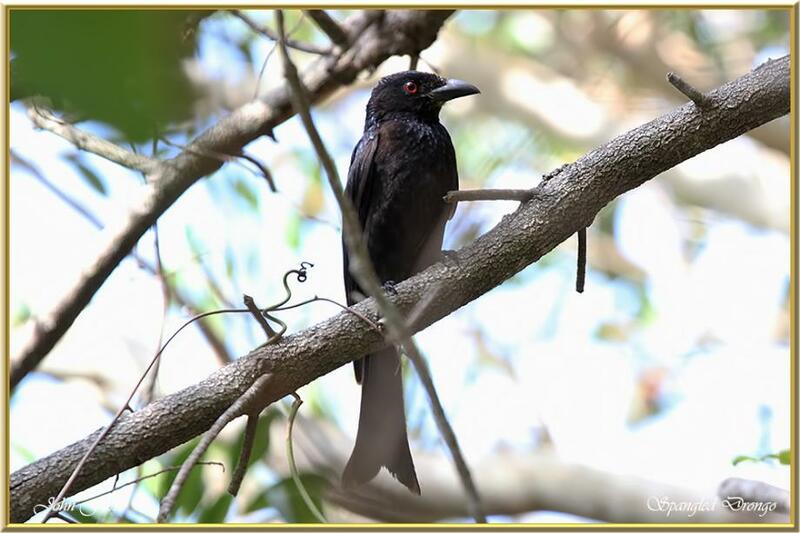 Spangled Drongo - the only drongo to be found in Australia. It arrives in Queensland in late spring to breed high in trees. It can mimic sounds of other birds etc. It usually sits perched waiting for passing insects. Recognised by it's long forked tail. They prefer wet forests, but can also be found in other woodlands, mangroves and parks. This one photographed near Bundaberg Queensland.